Father John Anthony Kenneally was born in Cork City, Ireland on May 6, 1945. His parents were Timothy Joseph Kenneally and Teresa O’Connell Kenneally. Both are deceased. John A. Kenneally received all his education in Ireland at Little Island National School, St. Finbarr’s College, University College, Dublin, and All Hallows Seminary, Dublin. John A. Kenneally was ordained on June 15, 1969 at All Hallows College in Dublin by the Most Reverend Joseph A. Carroll, Auxiliary Bishop of Dublin. Throughout the years of his priesthood, Father Kenneally has accepted cheerfully and with full cooperation all of the assignments given to him. Among many administrative positions, Father Kenneally has been Vice-Officialis, Vice Chancellor, Chancellor, Vicar Forane and Vicar General. 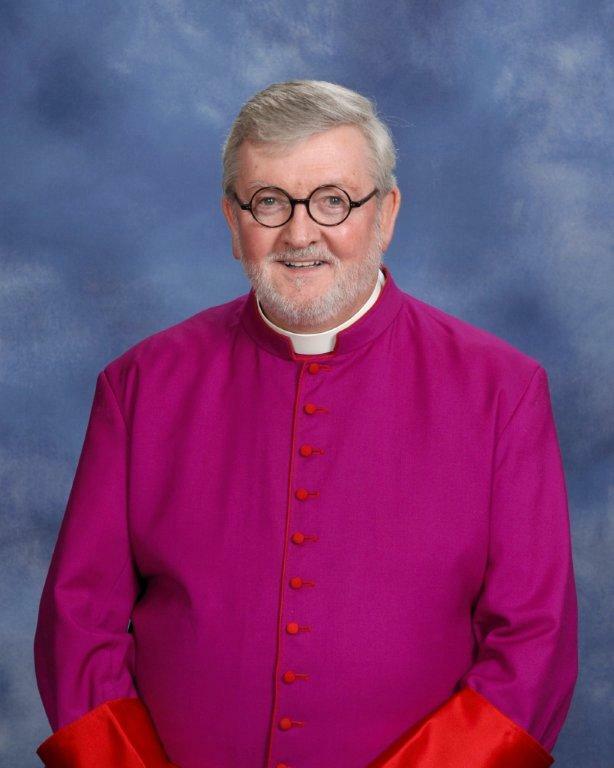 At the present time, he is Diocesan Personnel Advisor and Pastor of St. William Parish, St. Simons Island, Georgia. He has shown excellent leadership and is greatly admired throughout the diocese for his dedication and leadership both as a priest and as a leader within the diocesan Church. On Wednesday April 23, 2008, Father Kenneally received the Pontifical Honor of Prelate of Honor to His Holiness which carries the title of Monsignor.